There’s nothing worse than missing a great photo opportunity so make sure you are have a digital camera and all the camera accessories you need and you’ll never miss a moment again! 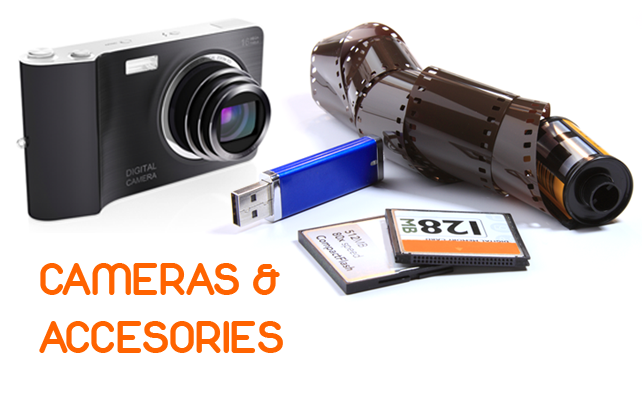 At our Bromsgrove High Street camera shop, you’ll find a selection of digital cameras and camera accessories to choose from including memory cards, filters, batteries and chargers, binoculars, monoculars, magnifying glasses and single use disposable cameras. Next time you visit Bromsgrove, make sure you pop in to see our full range of photography products so you’re ready to capture all those special moments. For all your cameras and camera Accessories in Bromsgrove visit us today! Remember you can print your photos here.